Got time on your hands? Not for much longer. Disney is intent on dominating every last drop of your free time with a brand-new streaming service, which will not only include exclusive Star Wars and MCU content, but also live-action Disney remakes and several beloved classics too. The best bit: it’s reportedly cheaper than Netflix and could be here by as early as next year. Not a bad deal, all told. In a report on the future of streaming services by Variety, Disney CEO Bob Iger calls the move towards a Disney streaming service “the biggest priority of the company during calendar [year] 2019.” Drink that in for a second. Disney are doubling down on one thing and one thing only. It’s not Avengers 4. It’s not even Star Wars 9. Disney are clearly going all-out on the streaming front – but what can we expect? For one thing, Disney are pulling all of its content from rivals Netflix – and are undercutting them in the pricing stakes, with a base price of $6 a month being floated around, which is 25-50% cheaper than Netflix. That means Black Panther, which is new on Netflix this month, will be the last MCU movie to cross that divide. Captain Marvel, Avengers 4, plus a slate of upcoming live-action Disney movies including the new Lion King and Dumbo will all be exclusively available on the Disney streaming service. This is without even touching upon Star Wars. 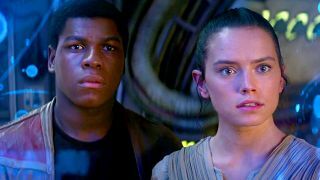 According to Variety, Disney sees the Force franchise as a ‘cornerstone brand’ and one that, with the slate of new Star Wars movies and an upcoming Jon Favreau-helmed live-action TV show on the way, could pay off in spades. Excited? You should be. Forget Thanos vs. The Avengers, 2019’s biggest battle will be Netflix vs. Disney and, frankly, we’ll all be winners! For now, nothing's changed. The best movies on Netflix and the best shows on Netflix are just waiting for you, ready to be binged.